Kentucky ranks 1st in burley, fire-cured, and dark-cured tobacco production, and 2nd in total tobacco production in the nation. Tobacco is one of Kentucky's top 5 agriculture exports. In 2017, Kentucky burley tobacco production was estimated at 129.2 million pounds, yield was estimated at 2,050 pounds per acre, and harvested acreage was estimated at 63,000 acres.  Production of Kentucky dark fire-cured tobacco is estimated at 38 million pounds and dark air-cured tobacco production is estimated at 16.2 million pounds. What looks like an ordinary greenhouse is actually an around-the-clock Ebola vaccine factory. At a facility in Kentucky, plants are being injected with a protein in order to spur them into producing one of the three antibodies used in the experimental drug ZMapp. It used to be nearly impossible to drive through Kentucky in August and not see tobacco growing in a field. In the summer of 1998, the leaf crop accounted for 25 percent of the state's farm cash receipts and was grown by 46,000 farmers statewide. Kentucky’s tobacco industry is on the brink of a revolution. Recent studies indicate that tobacco can be used for HIV prevention and Ebola treatment.